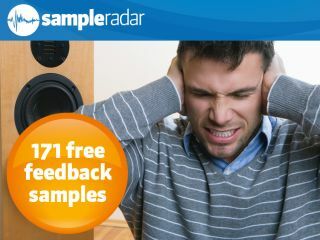 For some, feedback is a curse, but SampleRadar is of the opinion that it sometimes pays to embrace its squealy charm. Hence this collection, the sounds in which were created by running two or three chains of pedals in and out of an LEM Baby mixer/tape echo. For the guitar samples, a Danelectro Baritone was also used; the others were made simply by feeding the mixer back on itself through the pedals. The samples are split into two folders: LEM Baby Mixer and LEM n Guitar. The feedback samples are supplied in a zip file, so you'll need to extract them before you can see them. Enjoy!